Echipa AVmall incearca sa mentina acuratetea informatiilor din acesta prezentare. Cu toate acestea, in anumite cazuri, pot aparea mici inadvertente pentru a caror semnalare va suntem recunoscatori. Ne poti contacta oricand pentru a clarifica eventuale nelamuriri. Nu uita sa mentionezi in corespondenta ta numele exact al produsul. Fotografia produsului Pachet Amplificator Integrat Yamaha A-S701 + Boxe Dynavoice Challenger M-85 EX V.4 are caracter informativ si poate sa difere de produsul real sau sa contina accesorii neincluse in pachetul standard al produsului. Specificatiile tehnice pot contine erori de operare si pot fi schimbate fara instiintare prealabila de catre producator, neconstituind obligativitate contractuala. When processing and transmission of the audio signal is simple and direct there is less chance of it being affected by noise and distortion. Yamaha′s amplifier design technology called ToP-ART (Total Purity Audio Reproduction Technology) features I/O (input to output) Direct Symmetrical Design, with left and right channels organized in a straight, symmetrical layout for highest signal purity. Engaged by a front panel switch, it matches CD signal levels so each stage produces less noise, resulting in improved S/N ratio and maintenance of the amp′s total gain balance. Dynavoice Challenger M-65 EX has always been one of our top sellers since its introduction. Now it got a big brother with more basic resources for those who desire it. The difference between version 3 and version 4 is only the design, when it comes to the sound, we have not found anything to improve. M-85 EX version 4 got rounded corners and a new design on the front and the cloth grille. We think this is by far the best looking version of the M-85 EX so far and we are confident that it will remain on the throne, now even more secure than before. M-85 EX is equipped with dual 8-inch subs with aluminum chassis. But do not think that it is just a monster speakers, the euphony has been preserved from the M-65 EX. Overall, this gives a really solid speaker with a match weight of 27 kg. The new EX version has been equipped with piano lacquered front to give the speaker the upscale look it deserves. At the top of the terminals are three gold-plated connectors. These are used to fine-tune the critical midrange area as desired. Choose between -2 dB / 0 dB / +2 dB / +4 dB. 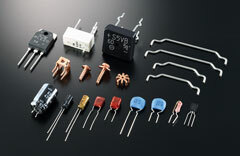 Modification of connectors means that you change the speaker's character. Then you do not have to adjust the bass / treble controls on the amp to get the sound you want. By placing the bracket in the various X-Change - holes you make changes in the 4 kHz - 20 kHz range. Without the bracket the level drops by 2 dB, with the bracket mounted the level changes with the number of dB written between the holes. 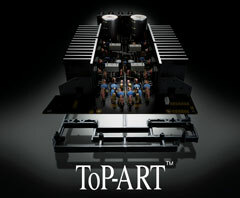 All the elements are developed together with the crossover and cabinet to optimize the sound. The tweeter is a Super Audio tweeter that is capable of playing very loud and clean. 5.25 inch midrange gives great power and clarity to voices. The base is 8-inch with aluminum chassis provides the speed and the pressure that you desire. Together the elements give a very neutral sound and a sensitivity of less than 94 dB ! 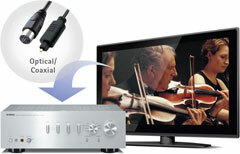 This is of great advantage especially for smaller amplifiers. Nu sunt recenzii pentru Pachet Amplificator Integrat Yamaha A-S701 + Boxe Dynavoice Challenger M-85 EX V.4. Fii primul care scrie una!